Pearl Mortgage Solutions is committed to ensuring that the Financial Conduct Authority principle of Treating Customers Fairly (TCF) is applied in all areas of our business. Protect the interests of our customers at each stage of our business, from initial contact to after sales service. Meet, as best we can, the unique needs of each customer by offering a transparent, efficient and professional service and constantly reviewing our service to identify areas for improvement. Updating knowledge on all products to understand who they are suitable for and being prepared to challenge product providers when inconsistencies, ambiguities, or potential unfairness in product literature or product features becomes evident. Keeping detailed records of customer instructions, profile and attitude to risk, and of the advice given before, during and after the sale- to ensure we treat customers fairly and can deal with any complaints swiftly and fairly. Maintaining after sales contact with clients where appropriate. 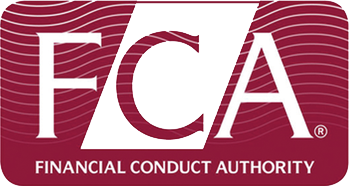 Ensuring that customer complaints are fully assessed fairly, promptly, impartially and in line with FCA deadlines and rules. Making improvements to service following any customer complaint. Being up to date with relevant training in relation to competence, data protection and other matters affecting the quality or the service offered to customers. Regularly monitoring all the above TCF activities. Ensuring that all TCF values are supported.